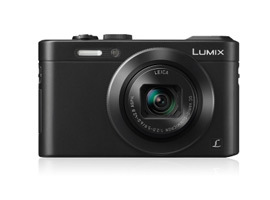 The recently introduced Lumix DMC-LF1 isn’t the first of its type to feature an Electronic View Finder (EVF). In fact the firm were one of the first to add a EVF to a compact more than a decade ago. Be that as it may, the LF1 is the first to revive the feature and incorporate it in a high-end model aimed at enthusiasts. As such at $499 it features a 12-Mpix back-illuminated 1/1.7-inch type CMOS sensor and a stabilized Leica Vario-Summicron 28-200mm (equivalent) f/2.0-5.9 zoom, making it one of the more flexible of its type. 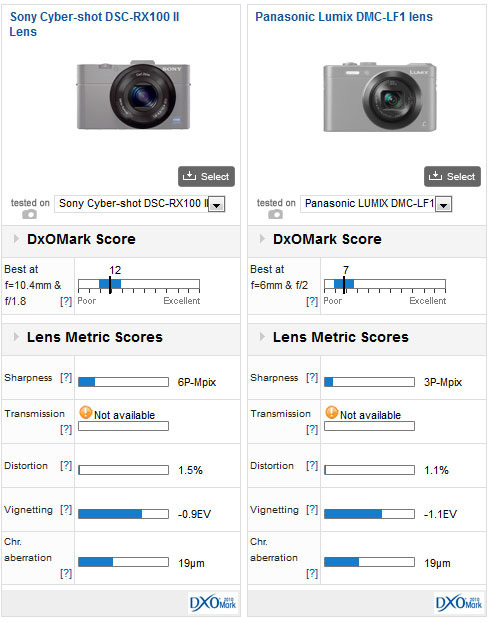 With an overall DxOMark Lens Score of 7 points, the image quality of the Leica-branded zoom is a bit on the low side. From our tests, the lens performs best at its widest settings (28mm f/2.0equivalent) but the image quality varies considerably throughout the range decreasing at the longer end and thereby accounting for the somewhat lowly score. High levels of chromatic aberration blur detail, and which can be difficult to restore in software, add to the problem. Although less noticeable with JPEGs, thanks to in-camera image processing Distortion is higher than we would like though it’s not unusual in a zoom like this. When pitched against the Sony Cyber-shot DSC-RX100 II the Lumix DMC-LF1 struggles to match the image quality. While, the Lumix DMC-LF1 achieved the lowest Lens score in our database much of this is due to small size (and low signal to noise ratio) of the image sensor – and it shows against the $750 Sony compact with a sensor that’s 2.7x larger in surface area. Despite the prestige name on the barrel, with high levels of distortion and chromatic aberration, both zooms reveal compromises in their optical construction. As the first in the series of tests on lenses for 1/1.7-inch format cameras, the Leica-branded zoom attached to the LF1 is likely to be a good performer – we simply don’t have another on file to compare it with directly. However, it does perhaps go some way to explain the huge popularity of the Sony Cyber-shot RX100 and its sibling the RX100 II – both pocket friendly designs with image quality approaching MFT and APS-C format cameras. At $750 they look expensive compared to $499 of the equally compact Panasonic, which has a wider zoom range and an EVF crammed into its tiny shell. If there is a high-end compact camera that you would like us to lens review, please let us know via the comments section, below. Please note the camera must be capable of outputting Raw files for us to be able to perform the tests required. 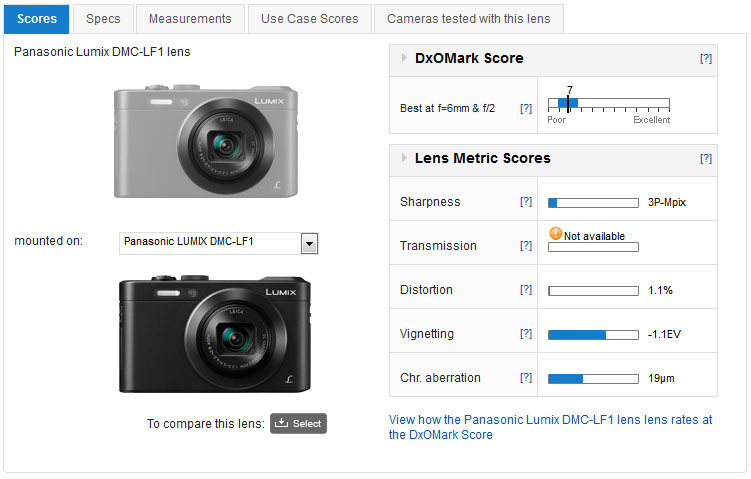 Panasonic Lumix DMC-LF1 sensor review: performance and pocketability?